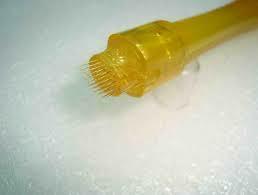 Our round head derma stamp (35 Needles) stratum corneum rebuilding skin needling product is recommended for all scarring types including inactive hypo-trophic (white) scarring. In addition to scarring, the stamp is effective for the improvement of the many skin conditions. (.5 mm) for repair of skin conditions. 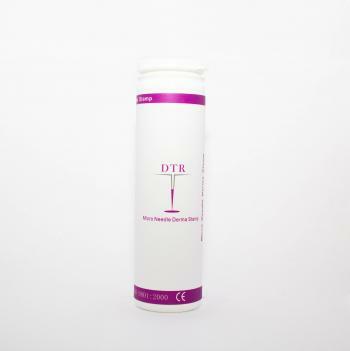 (1.0 mm) for repair of skin conditions. 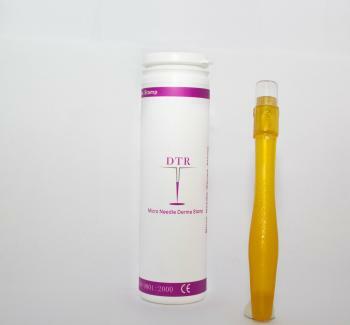 (1.5 mm) for more severe case of damaged skin. Skin micro-needling (derma stamping) is an increasingly common cosmetic procedure. Our stamp is a class 1 medical device which is simple and easy to use at home. In fact, it has very similar results to Laser Treatment, Chemical Peels and Dermabrasion, but is considerably less invasive (without any of the skin trauma) and carries only a fraction of the cost. The derma stamp perforates the stratum corneum creating a high TEWL (trans epedermal water loss)on atrophic scars and stretch marks. In a sense it re-activates an inactive healing state allowing ReJuveness scar healing products to work and repair of the stratum corneum. The results will be a totally rebuilt stratum corneum and smooth even colored highly aesthetic re-healed scarred area. Do not share your ReJuveness Derma Stamp with anyone else. For all scar types, hypotrophic(white) scars, wrinkles, stretch marks and damaged skin. A lack of collagen cause these conditions, using a derma stamp offers nature a helping hand by encouraging collagen production in the skin, which helps prevent or reverse their formation. Derma Stamp Treatment:can be part of a successful treatment regime for all of the following. 1. Wash area to be treated and dry with clean towel. Apply numbing cream if you are going to use it. Store left over cream. 2. 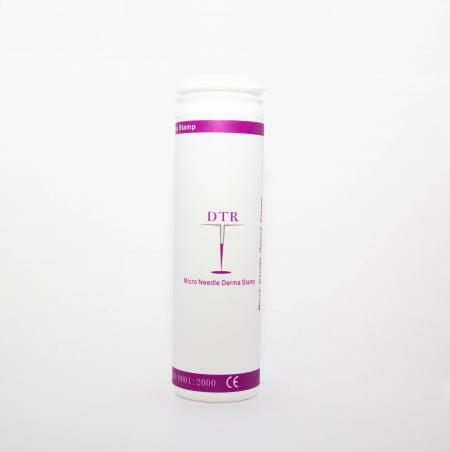 Dip derma stamp into disinfectant, shake off excess liquid. 3. Stamp the area you are going to treat firmly about ten-twenty times, this may take 2-3 minutes. 4. Wash treated area and dry with a clean towel, there may be some bleeding. You can apply a very small amount of anti bacterial or anti-biotic cream or oil. 5. Be patient. Wait 4-6 weeks to see your result as your own collagen will grow and fill in the damaged skin. There should be no down time and no post application pain. Second Treatment after 4-6 weeks. Follow same instructions as above. Then wait another 4-6 weeks and if necessary repeat the treatment for the third time. Cleaning of your Stamp: Rinse the derma stamp under cold running water after use. Stand in disinfectant for � to 1 hour. Shake off excess liquid, stand on clean towel to dry. Once dry put the derma stamp cap on and keep in clean area ready for next treatment. The Derma Stamp can be used up to 10 times max before disposal.